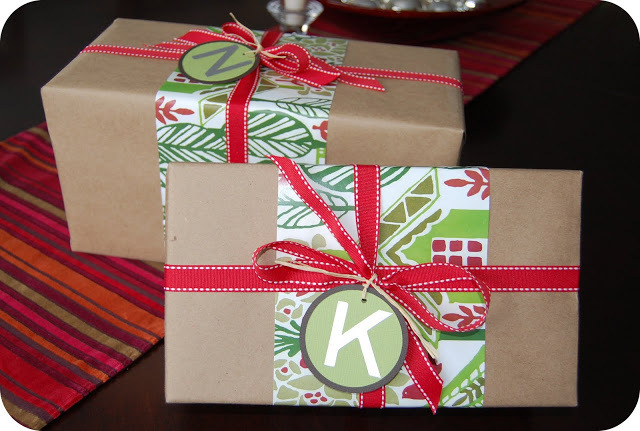 Decorating your gift wrap can be as simple as adding some color and ribbon! Photo courtesy: 33shadesofgreen.com. Americans throw away 25% more trash during the holiday season than they do during the rest of the year, according to the Thurston County Solid Waste Program. By being mindful of your holiday habits, you can reduce the amount of trash you toss this year. Here are some ways to reduce your footprint this holiday season. Whether you buy gifts at the store or online, there’s a lot of plastic, cardboard, and packaging that comes along with the product. If you’re buying online, Amazon offers a frustration free packaging service for many of their products. Instead of receiving your shipped box with another box with the gift inside, the gift’s packaging is replaced with smaller, more minimalistic packaging. Not only does this make it easier to open the gift, but it saves paper and plastic. I wrapped a friend’s present using pages of a magazine I had lying around. Photo credit: Haleigh Missildine. One of the easiest things to do when buying in stores is to bring your own bag. 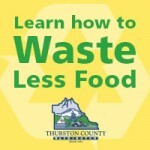 Thurston County already has a plastic bag ban, but you can save those paper bags as well by bringing your own bag or using no bag at all if your purchase is small. 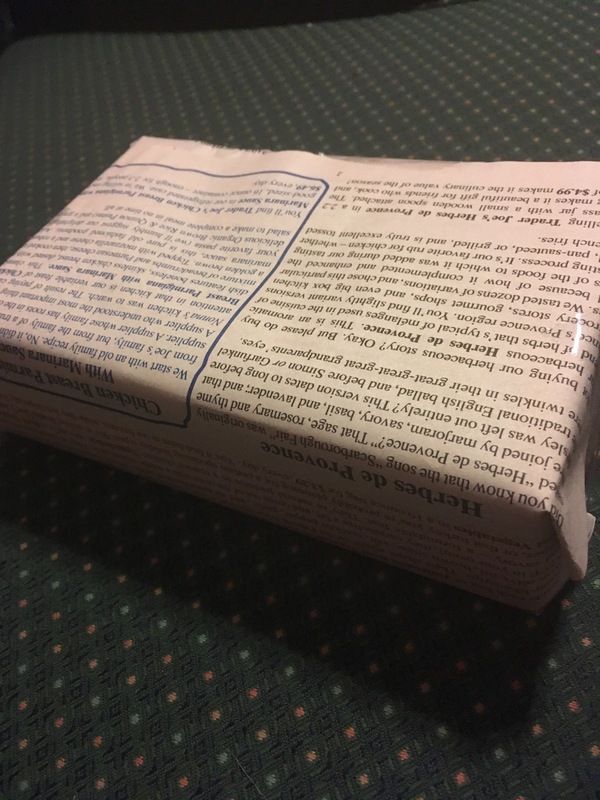 Instead of using new wrapping paper, recycle other types of paper you may have around. This could be newspaper, an old map, old sheet music, or even old wrapping paper you saved from last year. If you don’t want to use paper, opt for a piece of pretty fabric tied with a bow that can be used again and again. That paper bag you got at the store? Wrap your gift with it! Wrap a piece of twine around the gift and glue a piece of holly, a sprig of fir, or an acorn to the top for a decorative and festive touch. If you’re artistic, draw or paint on the paper to give it new life. Finally, if you must use traditional wrapping paper, opt for the recyclable kind. Shiny wrapping paper lined with foil or plastic is not recyclable. You can find recyclable wrapping paper at your local store or online. Theatre tickets are a great gift that don’t require much gift wrapping. Photo courtesy: Harlequin Productions. Eliminate the paper and plastic waste from a traditional gift and give an experience instead. 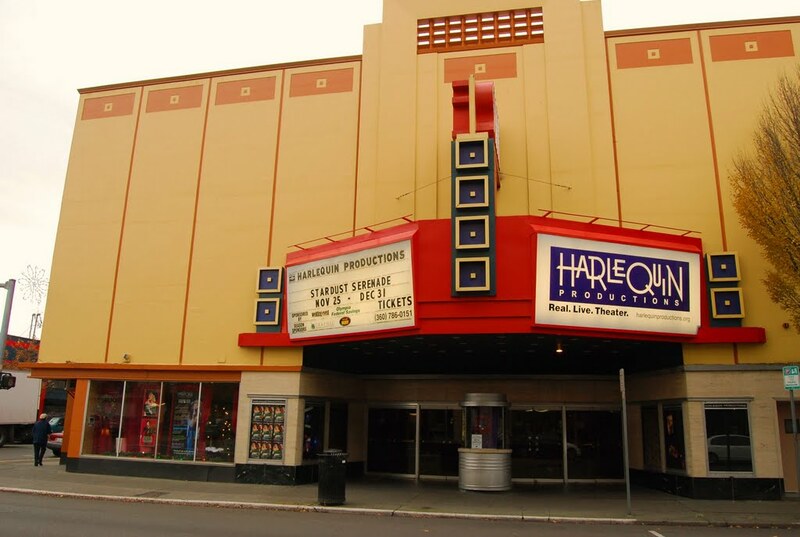 For example, you could give someone season tickets to their favorite theater (Harlequin and Olympia Family Theater are great local choices), passes to a class or activity they’ve been wanting to try out (think Warehouse Rock Gym), or a gift certificate to their favorite restaurant. This way, you’re using very little packaging and taking a step away from materialism. Reducing your food waste is another important step you can take toward a waste-free holiday. The easiest thing to do is to simply cook less. If you’re hosting a party, don’t cook much more than you think your guests will eat. Also, if you’re a guest, don’t overfill your plate. You can always go back for seconds. This way, the host can pack up the remainders of their dishes for leftovers. Leftovers can be eaten for lunch or dinner the next day or donated to a shelter or food bank. Taking just one of these steps helps you waste less and reduce your environmental footprint. “When we reduce the amount of trash we create, we preserve natural resources, reduce carbon emissions, and extend the life of landfills,” Straus said.